Your skin is your largest organ and a vital barrier that protects you from your environment. As your primary defense shield, skin absorbs a tremendous amount of abuse. It guards your innards from the sun's harmful rays, extreme hot and cold temperatures, and water -- not to mention a multitude of aggressive bacteria and viruses that might otherwise make you very sick. On top of all that abuse, your skin must repair itself when it endures harm. It's continually healing little scratches and scrapes and bruises. Ironically, the size and familiarity of your skin makes it easy to take for granted. And many people do. So maybe it's no surprise that although everyone starts life with taut, smooth baby skin, all humans wind up looking a bit like raisins. Of course, your behaviors dictate only part of skin deterioration. No matter how careful you might be, the effects of aging always take an inevitable toll, manifested in sags, wrinkles, discoloration and other blemishes that many people wish would never appear. Some skin experts divide skin aging into two categories: intrinsic and extrinsic. Intrinsic aging refers to the effects your genetic makeup has on your aging process. 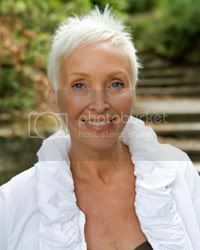 Much as some people develop gray hair in their 20s, others are prone to earlier evidence of skin aging. Extrinsic aging refers to external environmental factors, such as sun exposure, smoking and even habitual muscle movements (most noticeable in the face), that play a major role in the wear and tear on your skin. These are the conditions that, in some cases, you can actually control through your own behavior. Of course, no amount of care can prevent the inexorable toll that aging takes on your fleshy exterior. As your skin slowly weakens, some predictable physical effects become more and more obvious. Keep reading to see five primary ways your skin changes as you age, listed in no particular order. As you get older, your skin will likely become drier. You may see more skin flakes that detach and fall from your skin, too. That dryness may result in a lot of uncomfortable itchiness. This dryness happens because as your skin ages, it produces fewer natural moisturizing oils, in part due to a decrease in hormone production. In addition, seasonal changes exacerbate your body's physical transformation -- very cold and windy weather tax your skin's moisture levels and may leave your flesh feeling chapped and raw. The good news is that although this is a very common problem for older adults, there are numerous ways to combat dryness. A good-quality moisturizer goes a long way towards relieving dryness, and by applying a healthy layer of lotion right after a bath, you'll seal in moisture. You may need to experiment with various types of moisturizers to find one that works best for your skin type. Some experts recommend a lotion made with petrolatum or lanolin. Products containing chemicals such as lactic acid, urea, alpha hydroxy acids or ammonium lactate may irritate sensitive skin. The best lotions and moisturizers won't help, though, if you abuse your skin during your shower or bath. Very hot water tends to strip more oils from your skin than milder warm water. Also, many soaps are on the harsh side, so using a gentler cleanser can greatly reduce overall dryness. Beyond simple moisturizers, a quality vitamin A cream can significantly improve skin condition. Vitamin A decreases the rate of collagen breakdown. Collagen is a fibrous protein that helps maintain skin firmness. A diet high in vitamin A (this includes more oranges, carrots, eggs and other foods loaded with vitamin A) may also help, and doctors say increasing intake of antioxidants and omega-3 and omega-6 foods helps, too. In some cases, skin becomes so dry that it cracks visibly. If your skin experiences this extreme level of dryness, be sure to visit a dermatologist for professional care. 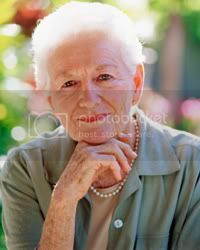 You may have noticed that some older people have skin so thin that it almost appears translucent. It's not just your imagination. As you age, your skin really does become thinner, revealing more blood vessels and other internal structures that younger, thicker skin conceals. In some communities, evidence of very thin skin is easy to spot. If you've ever visited a nursing home, you may have observed a high number of residents sporting bandages to cover healing sores. 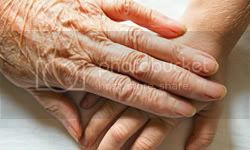 In many older people, skin becomes extremely thin, to the point where it actually seems fragile and almost papery. It's as delicate as it looks. A simple scrape that younger skin would repel with relative ease may actually cause a tear in thinner skin. Thinning occurs partly because your skin loses some of the fatty layer that lies below the epidermis, which is the outermost layer of skin. Less fat means less cushioning, and thus, your skin breaks and bruises more easily. Slower skin cell regeneration is another major cause of thinning. Some people seem to have a genetic predisposition to especially thin skin. Other people experience health problems specific to the skin that leave it thinner than normal. And medications, especially certain corticosteriods applied over long periods of time, can result in weaker, less durable skin, too. Sun exposure, which is the cause of many skin issues, breaks down collagen and elastin fibers in your skin. Elastin is a protein found in connective tissues that lets skin and muscles regain their original form after you move. With less of these supportive components, your skin becomes more fragile and loses its elasticity. Routinely using a sunscreen with an SPF rating of at least 15 will help maintain overall skin health. Applying skin moisturizer regularly will also help keep your skin healthy and may help reduce thinning. As we grow from childhood to adulthood, we get taller and bigger. But bit by bit, the law of gravity eventually takes hold, pulling us back downward. Perhaps nowhere is this more obvious than in the way our skin begins to sag, creating hanging jowls and drooping noses. This sagging is partly due to the aforementioned thinning of the skin that takes place during the aging process. Decreasing levels of skin fat, collagen and elastin mean sagging skin becomes more prominent all over the body. However, these changes are especially evident in facial features, which dangle and wiggle more than they did when you were younger. There are plenty of causes for sagging skin. For example, if you've experienced significant weight changes during your life, your skin loses its elasticity sooner and shows more stretch marks and drooping. Also, as you age, lymphatic drainage (which rids your body of toxins) decreases, resulting in breakdown of support structures that keep skin firm. In women, estrogen production decreases; the hormone helps keep the skin tight. And of course, smoking is an all-around unhealthy habit that also happens to degrade collagen and dehydrate the deeper layers of your skin. The best way to slow the saggy face effect is simply to take good care of your skin when you're younger. If you're really concerned about sagging facial skin, you can visit a cosmetic surgeon, who may inject an inert filler that rounds out some of your features. Some of these surgeons recommend starting these treatments very early, with the rationale that stopping excessive sagging sooner prevents some drooping spots as you age. These kinds of treatments can be very expensive, however, and may not be covered by your health insurance. What's more, these injections may be of limited long-term use. That's because deterioration of bone infrastructure of the face contributes to facial sagging, too. Your eye sockets, jaw and cheek bones wear down with age, something filler injections alone can't overcome. Some patients opt for bone implants, a more serious procedure with equally serious potential side effects. Others prefer facelifts, a skin-tightening operation that requires several weeks of recovery time. As you enter your 40s and 50s, there's a good chance that you'll see new patches of pigmentation appear on your skin. These are usually called age spots, but are also known as liver spots or solar lentigines. However, it might be more appropriate to simply call them sun spots. That's because these masses of pigmentation appear on skin that gets the most exposure to sunlight. Age spots are caused by damaging ultraviolet light (UV) from the sun. UV accelerates the production of a dark pigment called melanin. Age spots are actually a defensive reaction from your skin as it attempts to protect deeper layers of flesh. Tanning beds often accelerate the development of age spots. Age spots are flat, not raised, and can be brown, black or gray in color. They're usually oval in shape and simply look like excessive pigmentation. Most age spots appear on the backs of hands and feet, upper back and shoulders, and face, and they're typically the size of freckles, but often appear in clusters, and thus, seem much larger. Age spots are harmless. However, they are somewhat similar in appearance to the beginning stages of some skin cancers. If you see a very dark age spot (or one mottled with several colors) with an irregular border or that is getting bigger at a noticeable rate, see a doctor. As with many skin issues, some people have genetic predisposition to age spots. If you have fair or light skin, or a history of sun burns, you're at a greater risk of developing a lot of noticeable age spots. Once age spots appear, there are a few ways you can treat them. Bleaching creams can reduce the darkness of the spots, as can laser therapy, chemical peels, dermabrasion or cryotherapy. Each decade of aging brings new changes to your skin. And all of us will develop the most telling evidence of age -- wrinkles. Until your 20s, your face is mostly free of wrinkles. However, you'll begin noticing the appearance of what doctors call motor wrinkles, which are creases and wrinkles that occur due to muscle and skin movement. 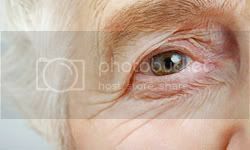 The most obvious areas of motor wrinkles are around the eyes, especially if you've had a lot of exposure to the sun's rays or spend an inordinate amount of time squinting at a computer monitor. As you enter your 30s, you'll notice deeper wrinkles around your eyes. The flesh there experiences more than its share of motor wrinkles due to the high level of motion around your eyelids and facial muscles, as well as frequent exposure to the sun. In your 40s, lines will begin to appear around your upper lip. Smokers and those who experienced sun-related damage will notice these lines sooner and see more noticeable wrinkles. Smokers, especially, will see creases as they purse their lips around cigarettes. In your 50s and later decades, wrinkles become more prominent as your skin begins to sag. This is where you'll see the benefits of having used good sunscreen and moisturizers at a younger age. If you didn't take good care of your skin, however, you'll see accelerated development of wrinkles and other skin deterioration. Using moisturizers that get progressively thicker and richer will help keep your skin hydrated and slow wrinkling as you age. Filler injections and Botox will also reduce creases. The sooner you start these treatments, the less you'll need as you get older. You can apply retinol-based creams to increase the rate at which your skin cells regenerate, and increase collagen, too. Of course, some people avoid all of the fuss regarding signs of skin aging, and especially wrinkles. They say that wrinkles add character to your physical appearance, and that it's better to simply accept skin deterioration and grow old gracefully. Regardless of your take on that philosophy, your skin condition is a good indicator of your overall physical health. Better skin might mean a longer, happier life - and keeping wrinkles at bay for a few more years might just be a nice perk. For more information about your skin and other related topics, take a look at the articles on the next page. Chandler, Nathan. "5 Ways Your Skin Changes as You Age" 16 June 2010. HowStuffWorks.com. 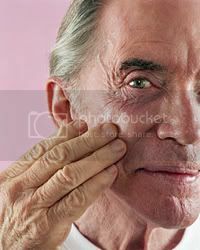 <http://health.howstuffworks.com/skin-care/beauty/anti-aging/5-ways-skin-changes-as-you-age.htm> 30 April 2012. **I ran across this while doing some research online. I found it very interesting. I hope you do, too. What changes have you noticed as the years go by? Cindy - Yikes...I am sorry to be so serious. It may be too late for me and my skin, but I hope some of the younger gals will take heed. I'll liven up for the rest of the week...promise! Diana - Yeahhhhh...pretty serious stuff here. See previous reply...I made a promise! LOL! When you live in AZ, you think of the sun damage and skin cancer a lot, so I guess that's why this resonated with me. I'm so happy you and Cindy were brave enough to stop by today! Hi Pat, I have a slightly different take. I wish I had seen this about fifty years ago! Great article. A serious topic...but I made a promise to lighten up the rest of the week. Now, I can't get my posts to post on this blog! Hrumph! Error message, no one answering my help request...so frustrating!